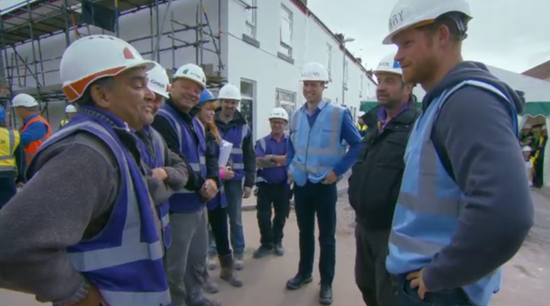 NASC member, Cheshire Scaffolds Ltd have assisted the ‘Walking with the Wounded’ servicemen and women charity – providing free scaffolding services, materials and labour on a special edition of the BBC TV show, DIY SOS. 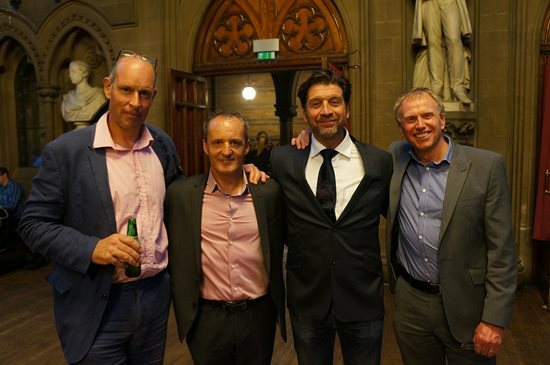 The two-part BBC One show – hosted by presenter Nick Knowles, which aired in October – followed the story of the creation of a 62-home veterans village on New Street in Newton Heath (near Manchester). The project eventually saw over 350 people working on site in the show, and included a Royal visit by Princes William and Harry. 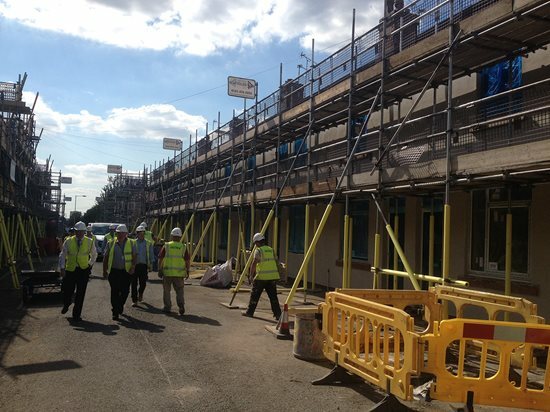 NASC members, Cheshire Scaffolds Ltd were asked by Main Contractor Client groups ISG, Kier & Wates to scaffold 17 dwellings with a two-lift access scaffold to suit all trades. The scaffold erection took four days, (two shifts per day), with five men on each shift and three days to dismantle, with six men on each shift. Cheshire Scaffolds Ltd Manager Paul Crowe said: “As supporter myself of ‘Help for Heroes’ the idea of DIY SOS supporting the charity ‘Walking with the Wounded’ locally was really great and something we wanted to get behind. It was an absolute pleasure taking part in this truly inspirational project… we feel great pride and it was an honour being able to assist.